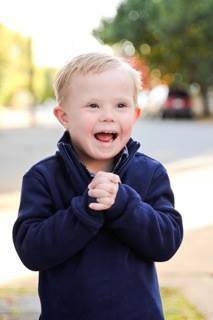 The growth of Down Syndrome of Louisville is due to the generous donations of our entire community. Your donation provides the funds to fuel the growth of our Lifelong Learning Centers in Kentucky and Indiana. The Down Syndrome Lifelong Learning Society is a way for our organization to recognize your investment in the lives of people with Down syndrome. Join the Lifelong Learning Society today! Your gift is appreciated at every level. However, donations of ANY dollar amount are accepted! Make your secure donation to Down Syndrome of Louisville using this convenient online form. After submitting your donation, you will receive an email receipt as confirmation and for tax purposes. If you would prefer to mail or fax your donation, please click on the link below to print our Pledge Form. Or, if you would like to make a donation through a gift of stock, please contact Diana Merzweiler or the DSL Office Manager. On behalf of our members, the Board of Directors and staff, we sincerely thank you for your support. Click this link to download a printable Pledge Form. None Mr. Mrs. Miss Dr.
An acknowledgement letter will be sent to those you are honoring. Please include their complete name and address here. My employer provides matching funds.